Steep yourself in rich history and make your wife or “best girl” feel like a princess by seeking out high tea. High tea is a chance for any woman to adorn herself in her finest clothing and accessories to be accompanied by a distinguished gentleman companion. Knowing things are very casual these days, high tea gives the chance to treat the woman of your life to a posh and formal afternoon break. 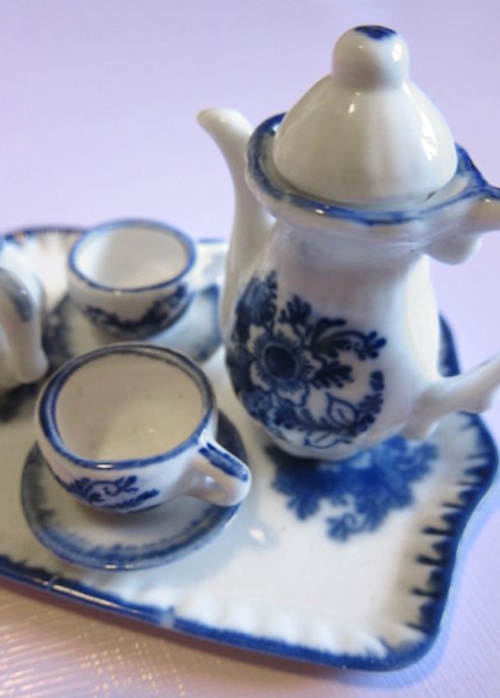 High tea began in the mid 1700s in the British Empire. The service began as a small mid-afternoon meal, served between 3pm and 4pm. As the meal began to gain favor, high tea soon came to be associated with the Royals and upper echelon of British Society. Women would dress in fine afternoon dresses and gowns and their gentleman companions would wear formal coats and accouterments. Soon, the meal of high tea became a formal affair; one not to be missed throughout the week. High tea became a staple of the Leisure Class and became one of the first instances in the world of a new form of dining, the sandwich. The Fourth Earl of Sandwich, John Montagu, decided to have high tea served to his guests with meats and savories wedged between two pieces of sliced bread. Modern High Tea is served in many guesthouses, restaurants, hotels and country chalets; all with the intent of upholding the formal High Tea ceremony. With the changing world and all-too-casual dress of people, High Tea today gives women the opportunity to dress formally in the middle of the day. It is next to impossible to bring a woman to High Tea and have her feel like anything less than a royal princess. The afternoon affair allows her the chance to wear her best, all while being escorted by a dapper and square-jawed gent. To top off the brilliance and delight of the High Tea, surprise your wife or girlfriend with a new hat or piece of small jewelry that goes perfectly with the High Tea and her dress. Once at the High Tea, allow the wait staff and service to bring the High Tea and meal in full white-gloved indulgence. Nothing makes anyone feel like royalty, male or female, quite like a white-gloved High Tea being served in traditional style. Enjoy watercress finger-sandwiches with the crusts removed along with the dark tea and milk associated with the afternoon tradition. To make it especially wonderful, give ample attention to the woman so she may feel listened to, appreciated and special. This is the time to bask in rich history, have afternoon fun and enjoy a slight nod to the youngster’s game of “dress up”. It is not often “dress-up” becomes a reality in the normal and everyday world. Treating your wife or spouse to the formal tradition of High Tea is guaranteed to bring her to the level of princess in a heartbeat. How could making the most special woman of your life feel like a princess be anything other than wonderful? Written by Katie Garbett, a self confessed romantic and lifestyle explorer. She enjoys sharing her experiences and insights on various lifestyle blogs. Visit Wish.co.uk for more ideas for the princess in your life. Tea with dainty snacks is not seen enough in my opinion. this would be fun to do with my mom and cousins. I love going for tea with my mom! Interesting facts. I’m an iced tea drinker. On occasion I’ll have a hot cup. How civilized 🙂 I had high tea in London once – it was delightful. Every time we stay at Disney we always try to book an afternoon tea at the Grand Floridian Garden View Tea Room. I love it. We love having tea — my favorite was High Tea in Bermuda (which is part of the Great Britain empire); it was so much fun! Tea is my favorite beverage,both caffeinated and herbal varieties! I’ve never been much of a tea drinker. The only time I ever drink it is if I’m at a Chinese or Japanese restaurant. I’ve never done this, but I think it could be fun. My sisters and I had High Tea in Victoria, BC (Canada) last year. It was a lot of fun. I don’t drink tea, but they brought me some yummy hot cocoa. The food was delicious, too! What an informative post! Love learning the history behind it. My sister, mom and I totally enjoy going for High Tea at a hotel every year on Mother’s Day. This is so awesome! I’ve always wanted to attend high tea. I know there are some places near me that offer a tea service but I haven’t been yet. It’s something I’d love to do for my birthday or mother’s day! I’m not much of a tea-party kind of gal but I know some women who are. Having tea definitely makes me feel more high class LOL.